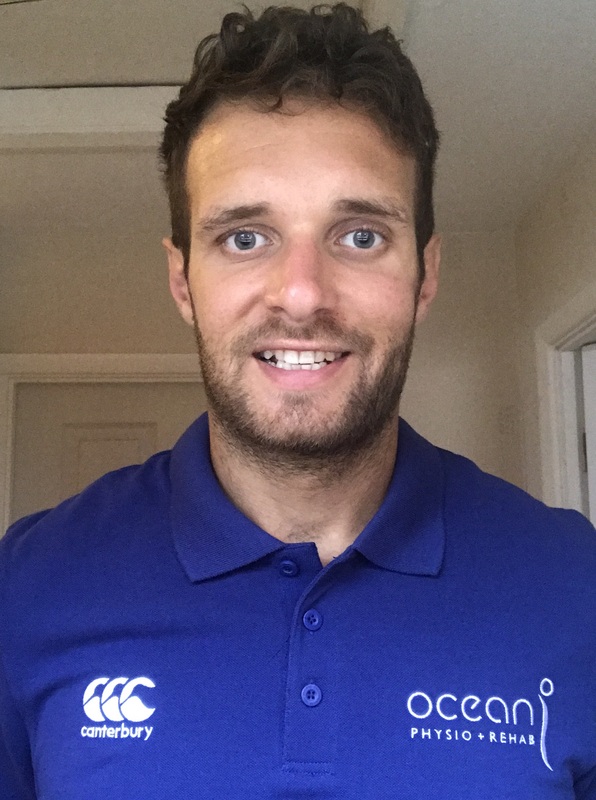 My name is Adam Davis and I am delighted to announce that I have joined the Ocean Physio team as a sports massage therapist. Having the chance to join such a prestigious clinic in and around Devon was an opportunity I couldn’t turn down. I have lived in Exeter for the past two years and during my time here have heard nothing but good things about the staff and clients at Ocean Physio, so I can’t wait to get going. Prior to living in Exeter, I was based in Cardiff following the completion of my first degree in Sports Conditioning, Rehabilitation and Massage. Since graduating, I have been fortunate enough to work with several elite sporting teams and individuals including New Zealand Rugby, British Bobsleigh, Wales Women and Wales 7’s and Luke and Dani Rowe both professional cyclists. Having lived and breathed sport from a young age, I have spent as much time on the playing field as I have on a treatment table. I always remember as a child finding it fascinating how someone can do a few tests and checks and before you know it they have a decision on what is wrong with you. From there, they would then build a plan of hands on treatment and exercises to get you back on the pitch in no time. I was completely sold on this as a career after coming back from a long term hip injury and the chance of playing rugby full time was no more. Since qualifying as a Sports Massage Therapist I have been able to stay involved with sport, which is my number one passion and also help a number of people achieve their own goals. For me, that gives my career 100% job satisfaction. I have always been keen to continue my development so two years ago I enrolled at UWE Bristol to complete a BSc in Physiotherapy. Now in my final year, I hope to integrate both my sports massage skills and those learnt during my degree in the future at Ocean Physio.